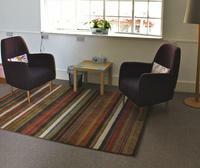 Adult & Child Counsellor & Psychotherapist, Couple Counsellor for Hove & Brighton. DOES IT FEEL LIKE LIFE IS GETTING ON TOP OF YOU?...................Are you struggling with, Anxiety, Stress, Anger, Relationship Difficulties, Addiction, Bereavement and/or Depression? Could you benefit from a place to take some time-out? .. To explore your thoughts and feelings? To change your life and be happy?............... to get back on track again? I am a practising Buddhist and Adult & Child Counsellor & Arts Psychotherapist & Somatic Experiencer (SEP)in Hove & Brighton. I have been seeing children, young people, adults and couples in Brighton, Hove & Lewes for the past 10 years. I am committed to providing counselling and psychotherapy in Hove & Brighton, in a safe, confidential and non-judgemental environment. I offer Counselling , Psychotherapy & Somatic Experiencing ( SEP) , and Comprenhensive Resource Model ( CRM). I provide a safe and confidential space, be able to talk and work through your thoughts and feelings in a safe and confidential setting. I provide face-to-face, individual Counselling , Psychotherapy and Healing, to anyone experiencing a range of emotional issues, with the aim of enabling you to live your life fully and happily. I also offer Couples Counselling , a safe space for couples to work through their relationship issues and begin to heal the conflicts that are plaguing them. I am also a Somatic Experiencer (SEP), as well as useing Comprehensive Resource Model (CRM). This is a powerful body based 'talking therapy' , capable of relieving physical, emotional and psychological shock, stress and trauma. ​​Somatic Experiencing® teaches simple, powerful strategies that mobilise the body's innate self-healing systems - the same physiological processes that mend broken bones and fight disease. 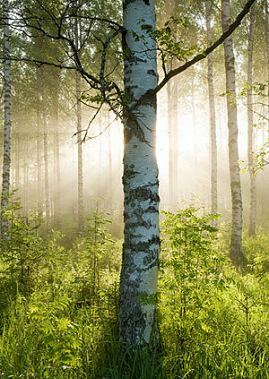 I combine Counselling, Arts Psychotherapy and Somatic Experiencing, into a holistic approach that will suit your needs. I know choosing a Counsellor, Couple Counsellor, Psychotherapist or Somatic Experiencer (SEP), is not easy. You need to find someone you can trust. The first session is an opportunity for you to see if I'm right for you. 'When I entered therapy my self esteem was shattered and I viewed life pessimistically.
' I cannot thank you enough for the genuine care and support you gave me. I am now well enough to begin feeling into what is. I work with individuals both short term and/ or on an open-ended basis, with the aim of enabling you to enhance your life and to live it more fully. If you are seeking Counselling or Psychotherapy in Brighton & Hove why not check my other pages on this web site to see if I could be of support. I understand that seeking a Counsellor or Psychotherapist is not an easy decision. You want someone you can trust and feel comfortable with. Finding the right Counsellor or Psychotherapist is key to the success of the journey you will undertake. I offer the first session at a reduced fee to help you with your decision. If you are in the the Brighton & Hove or surrounding areas, why not give me a call or send an email.